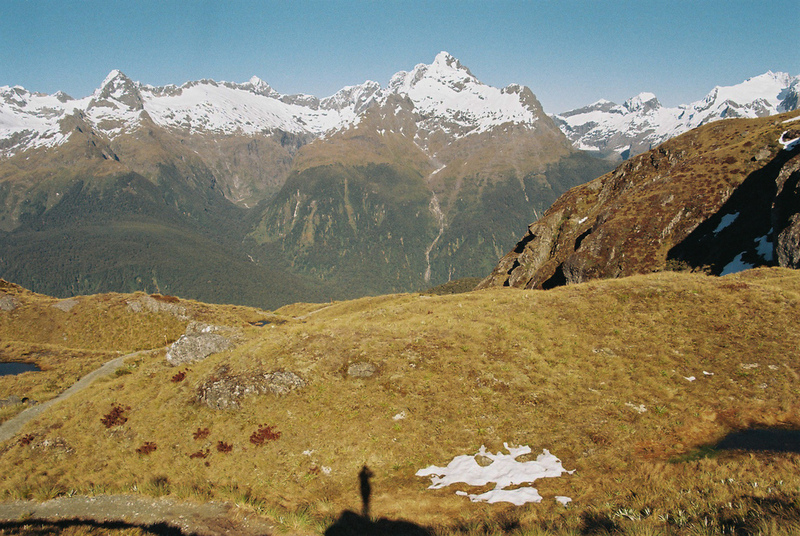 There are nine great walks throughout New Zealand. The Routeburn Track, one of the most southern walking tracks in the world, stretches across 32 kilometers of Fiordland National Park in Southland. The walk: four days of hiking through wetlands, tussocks and mountain ranges with backpack in tow and wearing the same boots. Moving forward in whatever the weather with little, if any, sleep. It’s no easy stroll, but the rewards are unexchangeable. Some may say it comes down to the isolation, or the opportunity to reconnect with the land, or perhaps it lies in the notion that we are one of very few people to witness such natural beauty — for how long it will last nobody knows. The vastness of space and time spent on the track allows our minds to undulate over any issues, defeated in their comparison to our immediate surroundings — this is what we came for. The rewards are found in the perspective we gain from wandering in the bush, the reminder that everything has a phase, a constant lifecycle complete with decay and death and birth. It is in these cycles that we find balance, and in balance we realise the importance of natural and instinctual rhythms. This is our internal reset, guided by the beauty of the outdoors.